Whether leaders in government, industry, or the nonprofit sector, our alumni embody qualities that set them apart in the world. Qualities like ethical leadership, diligence, versatile intelligence, creativity, moral courage, and the street smarts to navigate volatile professions like politics and the entertainment industry. "That which you end up doing in the service of something greater than you - even if it means that you feel lesser, humbler, even worthless by comparison - by honoring the humanity of others, that will allow you to get in closer touch with your own." Dartmouth students graduate into a global network of nearly 80,000 active Dartmouth alumni. 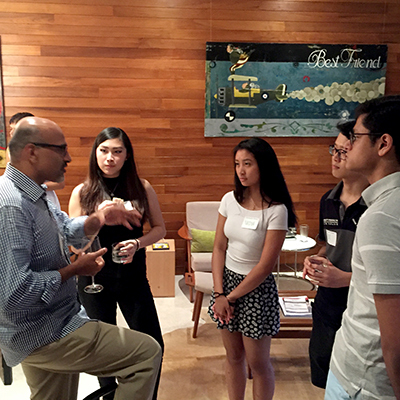 One of the most tight-knit alumni groups on the planet, Dartmouth graduates keep in touch, serve as trusted advisors and mentors, and help one another climb ladders, enter markets, and reach their highest professional and personal objectives. Wherever in the world a Dartmouth graduate needs an introduction or some local advice, the network is up and running and ready to help. 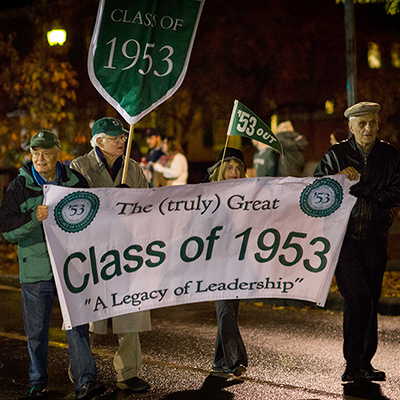 Dartmouth graduates are forever at the core of our community, many returning to campus regularly for events like the annual Homecoming bonfire. Alumni also tap Dartmouth's myriad support systems, such as the Center for Professional Development. The CPD supports students and alumni every step of the way-from their first term on campus through a lifetime of growth, learning, and leadership. Many Dartmouth graduates go on to careers as scholars and noted researchers. Dartmouth graduates’ rate of admission to law and medical schools is consistently well above the national average. They also compete successfully for the most prestigious scholarships and fellowships—Rhodes, Marshall, Truman, Udall, Goldwater, Fulbright, and dozens more. The alumna talks about overcoming anxiety, accepting limitations, and the 2016 Olympics. The New York senator celebrates the women of Dartmouth during a campaign stop. Two visiting alumni tell a QSS class how they use data in hockey and baseball. Working Dartmouth Reunions never fails to surprise me. Dartmouth pulls out all the stops after spring term ends to make campus into party central for all the returning alumni.